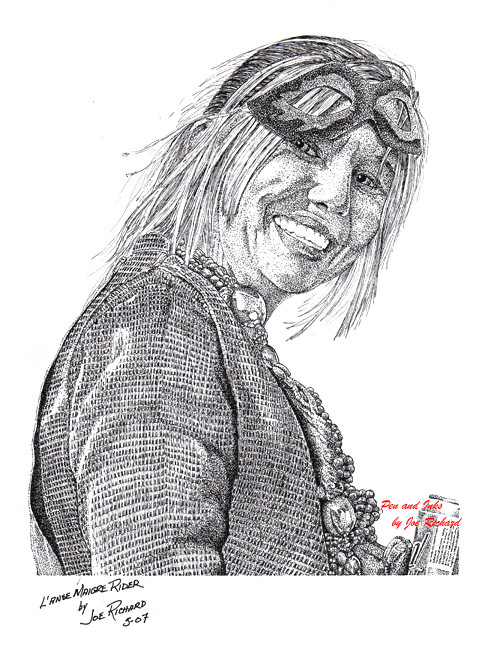 Joe Richard: "L'Anse Maigre Rider"
"L'Anse Maigre Rider" is the fourth in a series of drawings depicting the local celebration of Mardi Gras in Acadania (Southwestern Louisiana). Extensive use of stippling effects combined with some line art was used to create a dramatic finished portrait of "L'Anse Maigre Rider". The work took approximately 15 hours to complete and measures about 8 1/2 x 11 inches on an 11 x 14 background. The "L'Anse Maigre Rider" photo used as a guide in completion of this artwork. 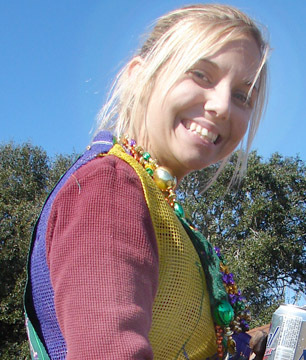 This photo was taken by this artist on the Sunday prior to Mardi Gras day, 2007.